Background: The treatment and hospitalization of psychiatric patients has been a dilemma for many years. Many countries have different specific legislations regarding the hospitalization and treatment of mental patients. Objective: In the current study, 4100 voluntary/involuntary psychiatric admissions and readmissions to a university hospital in Turkey were investigated, and patient groups were compared in terms of demographic variables and psychiatric diagnoses based on DSM IV-TR. Methods: The records of patients who had been hospitalized approximately 4–6 weeks were reviewed by two psychiatrists, and the patients were then divided into groups on the basis of single/multiple admissions and voluntary/involuntary admissions. The groups were compared based on psychiatric diagnoses. Results: Schizophrenia was the most common diagnosis in 71.5% (n = 865) of patients with multiple admissions. The second most common diagnosis was bipolar affective disorder with 13.1% (n = 159). The rate of schizophrenia in both voluntary and involuntary hospitalizations was significant (34.5% and 54.6%, respectively). However, depression, the second most common diagnosis requiring hospitalization with a rate of 23.2% of voluntary hospitalizations, accounted for only 3.7% of involuntary hospitalizations. Conclusion: Males constituted almost 75% of the single admission group. This difference may result from the socioeconomic and cultural profile of Turkey, as mental disorders make marriage impossible and are hidden in females suffering from them. Different findings from different cultures on single/multiple admissions and voluntary/involuntary admissions of patients lead to the conclusion that specific legislation covering treatment or hospitalization for mental disorders is needed in every country. Curran WJ, Harding TW. The law and mental health: harmonizing objectives, a comparative survey of existing legislation together with guidelines for its assessment and alternative approaches to its improvement. Geneva: World Health Organization; 1978:161. Turkish Psychiatric Association Mental Health Law Draft. Turkish Psychiatric Association Websites. http://www.psikiyatri.org.tr/299/ruh-sagligi-yasasi-taslaginin-yedi-yillik-ve-ruh-sagligi-platformunun-dort-aylik. Updated 06.01.2007. Accessed 01.12.2017.
Cooper AJ. A clinical study of violence in patients referred on a Form I to a general hospital psychiatric unit. Can J Psychiatry. 1988;33(8):711-715. doi:10.1177/070674378803300808. Okin RL. The relationship between legal status and patient characteristics in state hospitals. Am J Psychiatry. 1986;143(10):1233-1237. doi:10.1176/ajp.143.10.1233. Riley R, Richman A. Involuntary hospitalization in Canadian psychiatric inpatient facilities, 1970-1978. Can J Psychiatry. 1983;28(7):536-541. doi:10.1177/070674378302800706. Gove WR, Fain T. A comparison of voluntary and committed psychiatric patients. Arch Gen Psychiatry. 1977;34(6):669-676. doi:10.1001/archpsyc.1977.01770180055004. Tremblay PF, King PR, Baines GR. Clinical and demographic characteristics of voluntary and involuntary psychiatric inpatients. Can J Psychiatry. 1994;39(5):297-299. doi:10.1177/ 070674379403900511. Priebe S, Katsakou C, Amos T, et al. Patients’ views and readmissions 1 year after involuntary hospitalisation. Br J Psychiatry. 2009;194(1):49-54. doi:10.1192/bjp.bp.108.052266. Sanguineti VR, Samuel SE, Schwartz SL, Robeson MR. Retrospective study of 2,200 involuntary psychiatric admissions and readmissions. Am J Psychiatry. 1996;153(3):392-396. doi:10.1176/ajp.153.3.392. Addington D, Holley HL. A comparison of voluntary with remanded schizophrenics. Can J Psychiatry. 1989;34(2):89-93. doi:10.1177/070674378903400203. Sanguineti VR, Brooks MO. Factors related to emergency commitment of chronic mentally ill patients who are substance abusers. Hosp Community Psychiatry. 1992;43(3):237-241. doi:10.1176/ps.43.3.237. Kallert TW, Glockner M, Schutzwohl M. Involuntary vs. voluntary hospital admission. A systematic literature review on outcome diversity. Eur Arch Psychiatry Clin Neurosci. 2008;258(4):195-209. doi:10.1007/s00406-007-0777-4. American Psychiatric Association. Diagnostic and Statistical Manual of Mental Disorders. 4th ed. Washington DC: American Psychiatric Association; 2000. Bernardo AC, Forchuk C. Factors associated with readmission to a psychiatric facility. Psychiatr Serv. 2001;52(8):1100-1102. doi:10.1176/appi.ps.52.8.1100. Cuffel BJ, Held M, Goldman W. Predictive models and the effectiveness of strategies for improving outpatient follow-up under managed care. Psychiatr Serv. 2002;53(11):1438-1443. doi:10.1176/appi.ps.53.11.1438. Houston KG, Mariotto M. Outcomes for psychiatric patients following first admission: relationships with voluntary and involuntary treatment and ethnicity. Psychol Rep. 2001;88(3 Pt 2):1012-1014. doi:10.2466/pr0.2001.88.3c.1012. Riecher A, Rossler W, Loffler W, Fatkenheuer B. Factors influencing compulsory admission of psychiatric patients. Psychol Med. 1991;21(1):197-208. doi:10.1017/ S0033291700014781. Feigon S, Hays JR. Prediction of readmission of psychiatric inpatients. Psychol Rep. 2003;93(3 Pt 1):816-818. doi:10.2466/pr0.2003.93.3.816. Munk-Jorgensen P, Mortensen PB, Machon RA. Hospitalization patterns in schizophrenia. A 13-year follow-up. Schizophr Res. 1991;4(1):1-9. doi:10.1016/0920-9964(91)90004-B. Singh H, Bhalchandra DA, Sarmukaddam S, Chaturvedi SK. Readmission of psychiatric patients in India: sociodemographic factors. Int J Cult Ment Health. 2014;7(4):398-409. doi:10.108 0/17542863.2013.835330. Fennig S, Rabinowitz J, Fennig S. Involuntary first admission of patients with schizophrenia as a predictor of future admissions. Psychiatr Serv. 1999;50(8):1049-1052. doi:10.1176/ps.50.8.1049. Chang CM, Lee Y, Lee Y, Yang MJ, Wen JK. Predictors of readmission to a medical-psychiatric unit among patients with minor mental disorders. Chang Gung Med J. 2001;24(1):34-43. 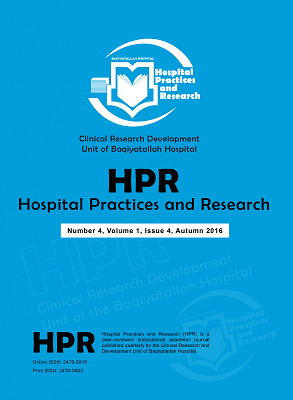 Gultekin BK, Celik S, Tihan A, Beskardes AF, Sezer U. Sociodemographic and Clinical Characteristics of Psychiatric Inpatients Hospitalized Involuntarily and Voluntarily in a Mental Health Hospital. Noro Psikiyatr Ars. 2013;50(3):216- 221. doi:10.4274/npa.y6245. Zhou JS, Xiang YT, Zhu XM, et al. Voluntary and Involuntary Psychiatric Admissions in China. Psychiatr Serv. 2015;66(12):1341-1346. doi:10.1176/appi.ps.201400566. Salize HJ, Dressing H. Epidemiology of involuntary placement of mentally ill people across the European Union. Br J Psychiatry. 2004;184:163-168. doi:10.1192/bjp.184.2.163. Zeppegno P, Airoldi P, Manzetti E, Panella M, Renna M, Torre E. Involuntary psychiatric admissions: A retrospective study of 460 cases. Eur J Psychiat. 2005;19(3):133-143. doi:10.4321/S0213-61632005000300001. Schuepbach D, Novick D, Haro JM, et al. Determinants of voluntary vs. involuntary admission in bipolar disorder and the impact of adherence. Pharmacopsychiatry. 2008;41(1):29-36. doi:10.1055/s-2007-993213.